Islam is the second-most practiced religion in the Republic of India, with Muslims making up more than 13.4% of the country's population. This comes to 138 million individuals, according to the 2001 census. If Old India (Indian subcontinent including Pakistan and Bangladesh) is considered, the number would rise to almost half a billion. 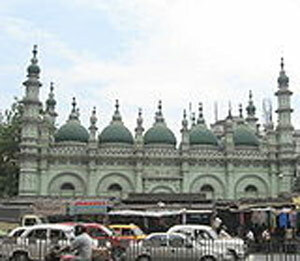 Muslims in the Indian subcontinent make up the biggest of any regional group; this is larger than the Arabic, Persian, Turkic and Southeast Asia groups. 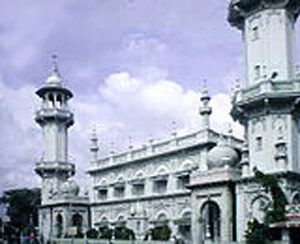 Islam came to India within the lifetime of Prophet Muhammad (632 C.E). 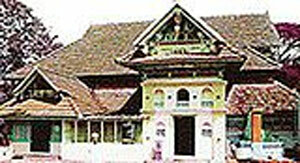 The first Indian mosque is thought to have been built in 629 CE, in Kodungallur (Kerala), also during the very lifetime of Prophet Muhammad. 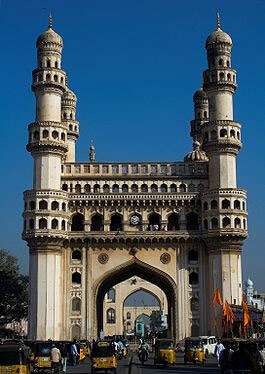 It was built by Malik Bin Deenar, a local ruler who was considered the first Indian Muslim. Ancient and Medieval historians of India claim that the first Arab Muslims settled on the Indian coast in the last part of the 7th century CE. 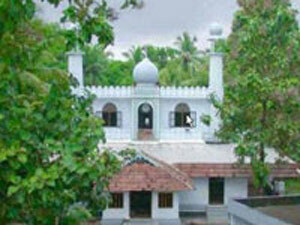 Cheraman Perumal Juma Masjid in the Malabar Coast, probably the first Mosque in India. According to historians Elliot and Dowson, in their book "The History of India" as told by its own historians, the first ship bearing Muslim travelers was seen on the Indian coast as early as 630 CE. The Arab merchants and traders traded on the Malabar Coast, where the "Mappilas" may have been the first community to convert to Islam as they were more closely connected with the Arabs than others. 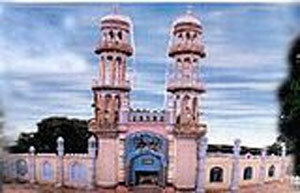 Intensive missionary activities were carried out along the coast and a number of natives also embraced Islam. These new converts were added to the Mappila community, amongst whom we find both the descendants of the Arabs through local women and the converts from among the local people. In the 8th century, the province of Sindh (in present day Pakistan) was conquered by an Arab army led by Muhammad bin Qasim. Sindh became the easternmost province of the Umayyad Caliphate. In the first half of the 10th century, Mahmud of Ghazni added Punjab to the Ghaznavid Empire and conducted several raids deeper into modern day India. A more successful invasion came at the end of the 12th century, by Muhammad of Ghor. 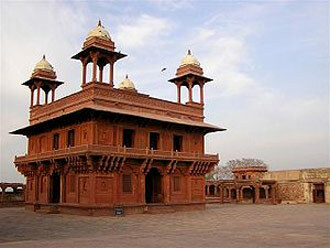 This eventually led to the formation of the Delhi Sultanate. 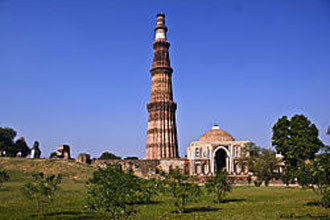 The city of Delhi was to later become the capital city of India in the modern day. 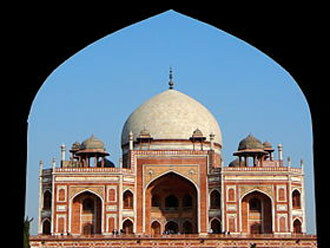 Jama Masjid, Delhi: one of the largest mosques in the "Asia- Pacific" region. 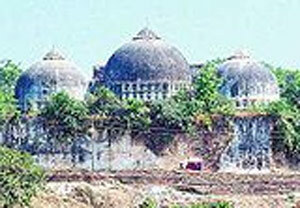 Islam has, since that time several centuries back, been a part of India's rich religious and cultural heritage. Over the years, there has been significant integration of Hindu and Muslim cultures across India and the Muslims have played a prominent role in all spheres of the Indian nation. Prominent Muslims are leaders in religious scholarship (wherein they have historically rivaled their counterparts in the rest of the Muslim world), politics, cinema, sports, business, academia, scientific areas and cultural fields. 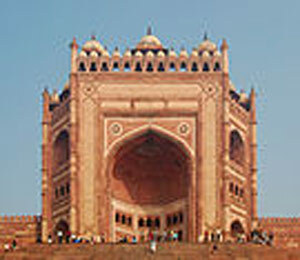 Muslims in India also enjoy freedom to practice their religion in terms of personal law, such as those related to marriage, inheritance and endowments. 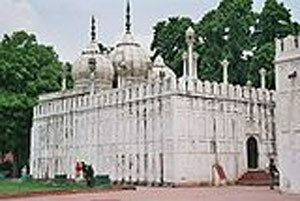 While military expeditions might have brought political control to Muslims in India over seven centuries ago, conversions have specifically been credited to the extraneous efforts of the peaceful Sufi (mystical) saints, who were respected by Muslims and Hindus alike for their love of all, peaceful nature, etiquettes, asceticism and devotional practices. As for the kings, many of them were happier with non-Muslim subjects since they could levy "jizya" taxes upon them in return for protection and concessions; hence they were not keen to undertake conversion policies. Another factor cited in the conversion of many native Indians is that of the pre-existing caste system practices by the natives, being abhorred by Islam. Thus, many people from the lower classes converted to Islam to partake in this new equality that accorded them the same status as others. In the vein of integration, during the reign of the Mughal Emperor Akbar, there was even an attempt to merge religions- although this project was unsuccessful, as one would expect, since the religions (specifically Islam and Hinduism) were incompatible with each other. Nonetheless, there was a natural development of a very tolerant atmosphere in which all religious groups were accorded their religious freedoms. However, this was not always the case for the duration of the several centuries of rule of Muslims over India, partly because the political atmosphere was strongly predicated upon the Emperor's objectives rather than the religion's peaceful guidelines. Muslim empires, as well as Hindu kingdoms, were finally brought to an end with British colonization in the nineteenth century. The impact was negative for all Indians, who then united hand-in-hand to oppose the British imperialism of the nineteenth and twentieth centuries. 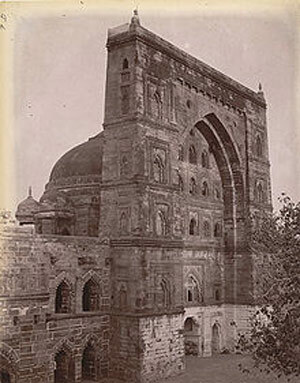 Many of the Independence Movement protests and rebellions were led by Muslims, such as the Sepoy Mutiny of 1857, in whose aftermath the Muslims suffered terrible massacres; thousands of kith and kin were shot or hanged near the gate of Red Fort, Delhi, which is now known as "Khooni Darwaza" (the bloody gate). The renowned Urdu poet Mirza Ghalib (1797-1869) has given a vivid description of such a massacre in his letters now published by the Oxford University Press - "Ghalib, his life and letters", compiled and translated by Ralph Russell and Khurshidul Islam (1994). 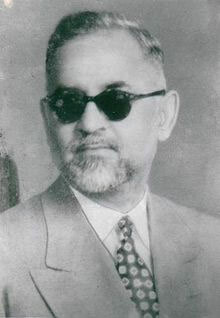 Maulana Azad was a prominent leader of the Indian independence movement and a strong advocate of Hindu-Muslim unity. 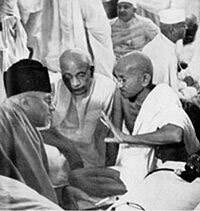 Shown here is Azad (left) with two other prominent Independence leaders Sardar Patel and Mahatma Gandhi in 1940. 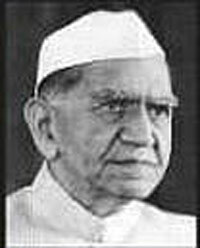 Eventually, the people of India won Independence in 1947, but political differences had resulted in the division of Old India between Muslim homeland of Old Pakistan (combining current-day Pakistan and Bangladesh) and a new secular India. Despite the breakaway of Pakistan, at independence of both states in 1947, one third of the Muslim population chose to remain in India, and till today they form one of the biggest national Muslim populations in the world, as well as the largest Muslim minority. Compiled and Edited by Ali Haider Abidi, from Wikipedia and a variety of other sources. Communal and devotional unity around the worship of a single common God. A single divine scripture, al-Quran, considered sacred and unchanged. A culture of devotion (which includes five times a day of prayer, fasting in the lunar month of Ramadan, a once-in-a-lifetime pilgrimage to Mecca and other spiritual exercises). A tax imposed upon the rich, namely zakat, to eradicate poverty; it is to the tune of 2.5% of the wealth each year. Absolute equality with no divisions along ethnic, racial, economic or similar differences. A keen sense of accountability on the Day of Judgment, that aids the faithful who self-police themselves and develop a culture of honor (as long as they are adequately trained). 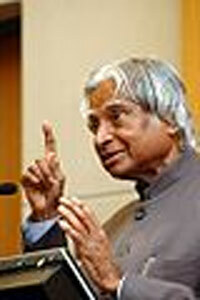 A high sense of social Morality, including special respect of women and elders. Social ethics such as fairness in transactions, honest, truthfulness, kindness, asceticism and charity. In fact, mystical and spiritual practices have always been a core part of Islam. A legal code that accords rights and responsibilities, and ensures the execution of justice. 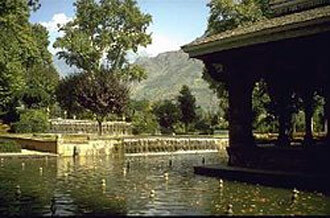 A strong sense of community care and mutual belonging. A huge corpus of scholarship including investigations in all major fields of the arts and humanities, such as social relations, philosophy, theology, law, mysticism, linguistics, anthropology, architecture, political science and psychology. Additionally, the Quran provides great impetus to study the sciences and sets many splendid proofs of a divine creator in the wonders of nature, such as the rotation of heavenly bodies, fetus development in pregnancy, and creation of life from water- amongst many others. The article posted above is the first of a series of articles planned to cover the long and illustrious contributions of Islam in India. While we bring with pride this first installment, the editors do not endorse or refute the facts presented by the author or the opinions expressed by him. 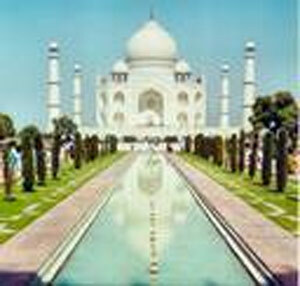 We add a series of photographs below to present past Presidents of India who were Muslims, and to highlight some of the architectural contributions made by Islamic rulers in India. Future articles will touch upon other areas of Indian life that Islam had profoundly influenced- such as the cuisine, music, business and many other fields.